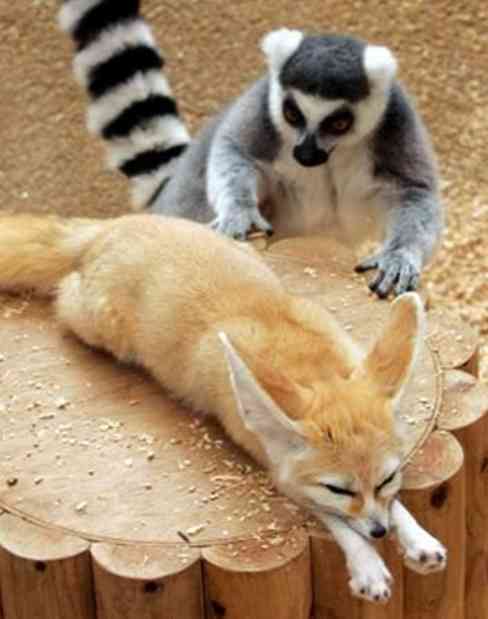 That is a lemur sneaking up on a fennec fox. For obvious reasons. Here is a set of the 25 worst Life Magazine covers ever, with wry commentary. The fact that this is on the Life Magazine website makes me really like Life Magazine. If you’re trying to get some writing done, Written Kitten will help. If you would like to see a semicircle of white men looking very uncomfortable, Steve McQueen’s great commentary about diversity in casting is a good place to start. This entry was posted on Saturday, November 19th, 2011 at 2:25 am and is filed under pageslaps. You can follow any responses to this entry through the RSS 2.0 feed. You can leave a response, or trackback from your own site.